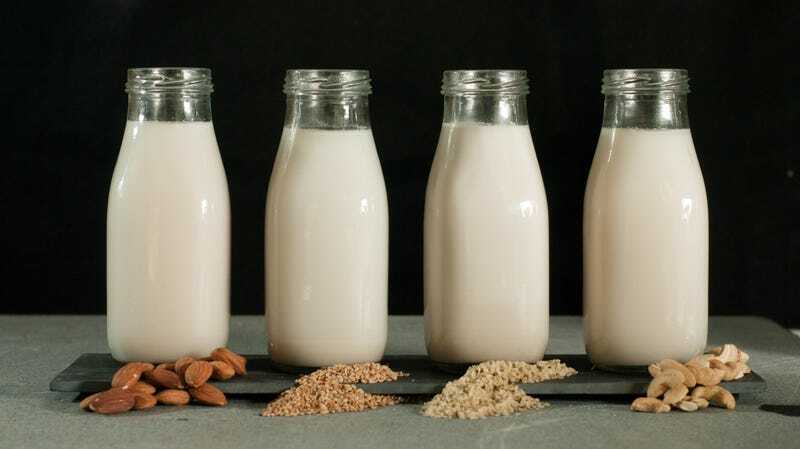 Al Overland is not saying you should refer to almond milk as nut juice. He’s also not saying you shouldn’t. To catch you up/provide context: Dairy farmers don’t want nut milks to be called milk. Things aren’t great in the dairy industry—trade wars, decline in demand, industry turmoil, etc.—and they’d prefer that the nut juices get out of their word turf, thank you very much. The dairy folks aren’t the only ones: The U.S. Cattlemen’s Association also objects to “plant-based meats” being called meat. Trust me on this: The full Star-Tribune article is worth a read. It draws a line from this conflict to the debate that took place from the late 19th century to the middle of the 20th over the classification of butter. But in short, the F.D.A. will be making a decision at some point, though there’s no set date for a decision. Accordingly, you should expect to hear the words “nut juice” a lot more frequently. For the second time today, we suggest you clicking on the Star-Tribune’s site and to suppo local journalism.